Perfect Solutions for a Special Field of Applications! We offer you custom-tailored solutions for products, such as hot-melt, putties, pasty products for the food industry, as well as raw materials and finished products for the cosmetic and pharmaceutical industry. 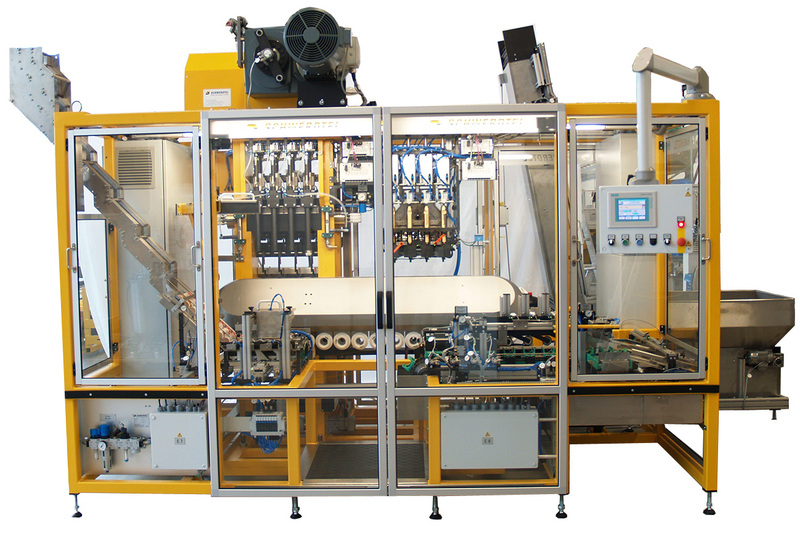 This filling line is designed for the filling of hot-melt into both, conical cardboard trays and cylindrical containers. The product is supplied by a pump from a „Z-Blade“ mixer with screw discharge via a heatable pipe connection at a temperature of 120 – 160° Centigrade. Special solution of extremely high viscous products out of drums. Initially the product is heated up to approx. 100° Celsius through a heated pressure plate and pressed out by a high performance hydraulic unit. Afterwards the product is fed by means of a heated gear pump.